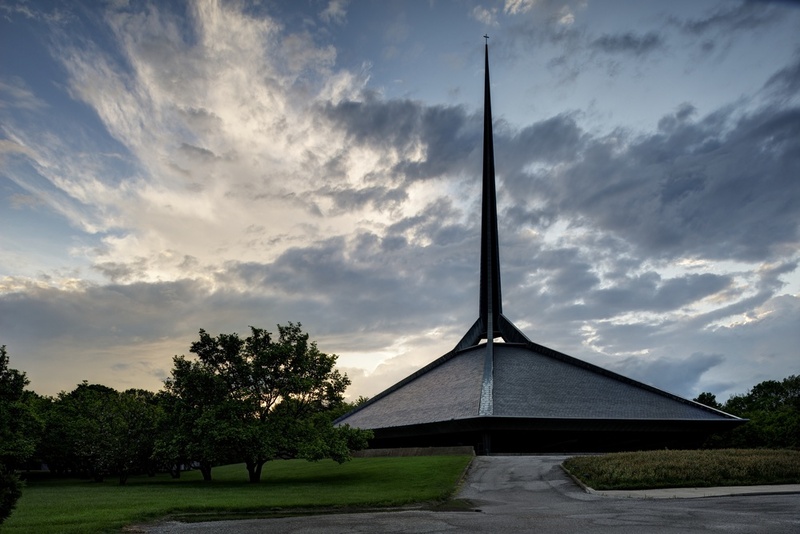 The first location I photographed was Eero Saarinen's North Christian Church, which was set into the landscape by Daniel Kiley. Kiley, used a straightforward design of a few select tree types. At times using his design to hide your sight lines, and at other times revealing select views to be appreciated. The interior of the church was perhaps one of the most spectacular spaces I've ever entered. Beautifully lit by a large skylight in the center and windows along the outer edge. The light running across the ceiling, slight green casts from reflected light off the grass. Truly beautiful, and at times and other worldly experience. I can't wait to show you the actual photos from the retrospective. Coming...eventually.